1. A discussion on the Economic Development Impact that has been produced through Parks and Recreation efforts (19-031) Presentation only. 2. 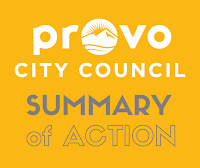 A discussion concerning House Bill 324 which proposes raising the minimum age for tobacco purchase and other alternatives available to Provo City (19-029) A motion to amend the implied motion to include the language suggested was approved 6:0, with Councilor Gary Winterton excused. This item was already scheduled for the March 5, 2019 Council Meeting. 3. A discussion regarding a proposed ordinance amendment prohibiting the sale of dogs, cats, and rabbits from commercial animal establishments (19-030) Presentation only. 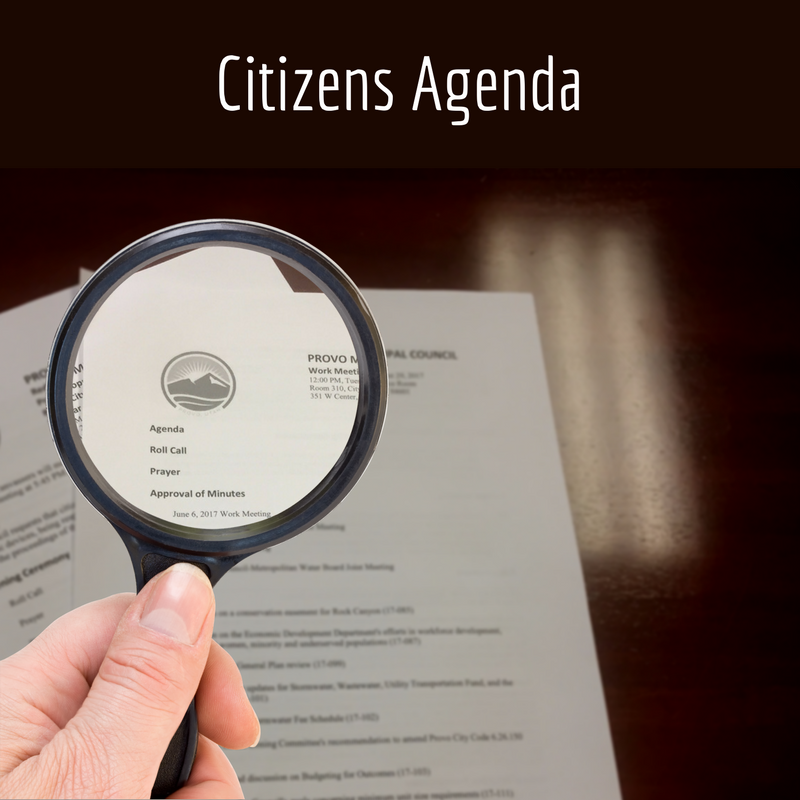 This item will be scheduled for the Work and Council Meetings on March 19, 2019. 4. 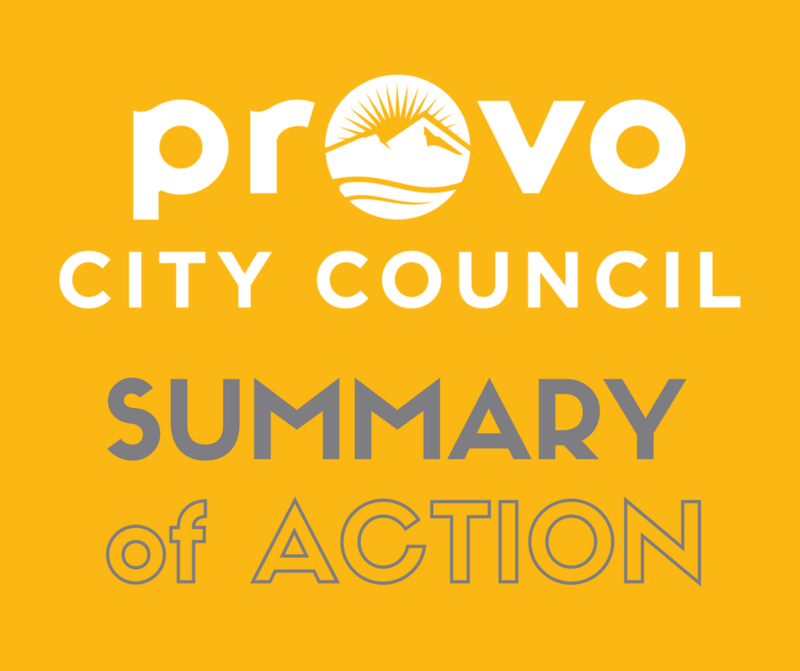 A discussion regarding the Provo City Parking goals and objectives (19-018) Presentation only. 5. A discussion on an ordinance to correct inconsistencies and provide clarification regarding boards and commissions in Provo City Code Title 2 (19-033) Presentation only. 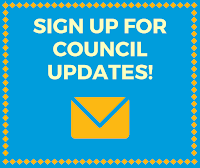 This item was already scheduled for the Council Meeting on March 5, 2019. 6. A discussion on Council work efforts (19-032) A motion to create an ad hoc Election Code Committee, with the mission statement: "Review Provo City's current election code with Provo City election officials and propose updates and changes to better address and balance interests of campaign finance transparency, donor privacy, code clarity, and ballot access," and with David Harding as Chair and George Stewart as Vice-Chair was approved 6:0, with Councilor Gary Winterton excused. The benefits of Provo City's parks and recreation facilities have a broader impact than most people realize. Scott Henderson, Parks and Recreation Director, recently gave a presentation to the Provo City Council on the economic benefits to the area based on patrons and customers using those facilities. Those benefits often include hotel stays, dining out, and retail purchases in Provo. The Covey Center for the Arts is a regional performance venue that regularly attracts visitors to Provo. There were 228 ticket performances in 2018, with 74,665 tickets sold. In addition to the more than $800,000 in ticket revenues generated, the Center was also used for free performances, rehearsal time, and classes. They estimate over 100,000 visitors came to downtown Provo because of the Covey Center and a survey estimated that patrons spend $1.9 million at Provo eating establishments annually. East Bay Golf Course hosts more than just golf events. The annual BYU Fall XC Classic involves 110 teams and brings in $1 million in economic impact spending. The recent NCAA Cross Country Championships brought in 40 teams and the economic impact was over $1 million. 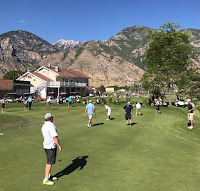 Golf events like the WCC Championships and State High School Golf Championships have economic spending impacts of half a million dollars per event. 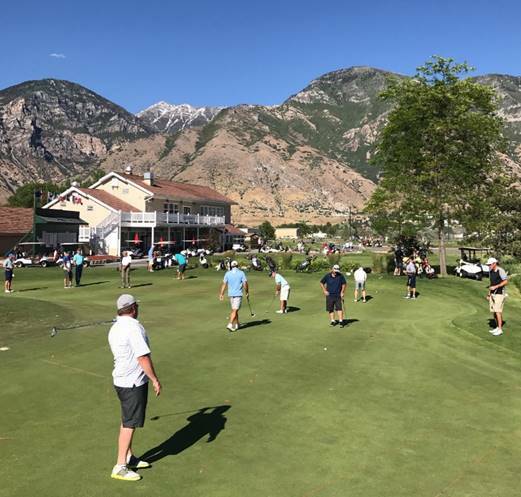 The Provo Open Tournament generates $100,000 of community spending every June.